Save now on this 2016 Toyota Sienna XLE 8 passenger van priced under $20k! 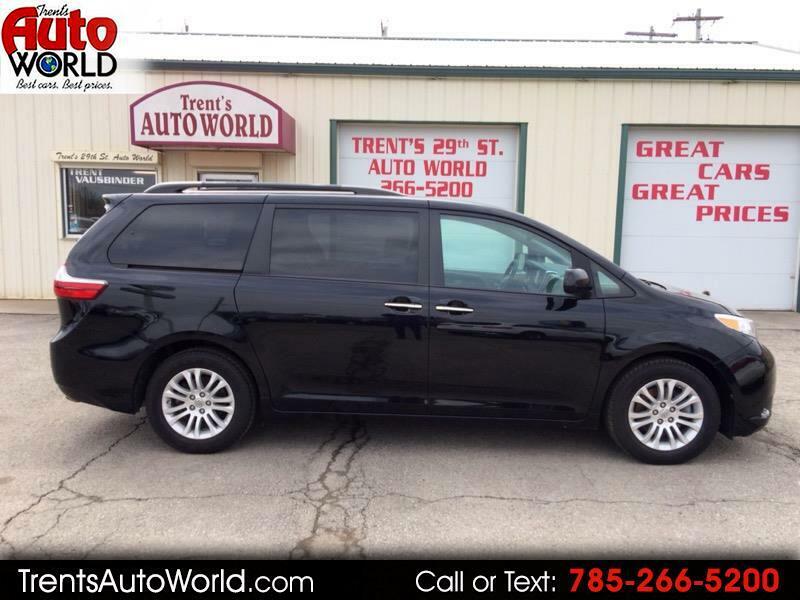 This Sienna XLE is well equipped and features brand new tires, blind spot monitor, leather seats, alloy wheels, dual power sliding side doors, dual front power seats, keyless entry, automatic climate control with 3 zones, Bluetooth, USB and Aux audio ports, luggage rack, to go with the spacious interior. Please call Glenn or Trent with questions at 785-266-5200 or stop in today for a closer look and test drive. Thank you for shopping trentsautoworld.com! !